Vintage British industrial lights by Thorlux, salvaged from a pottery factory in Stoke-on-Trent, UK. 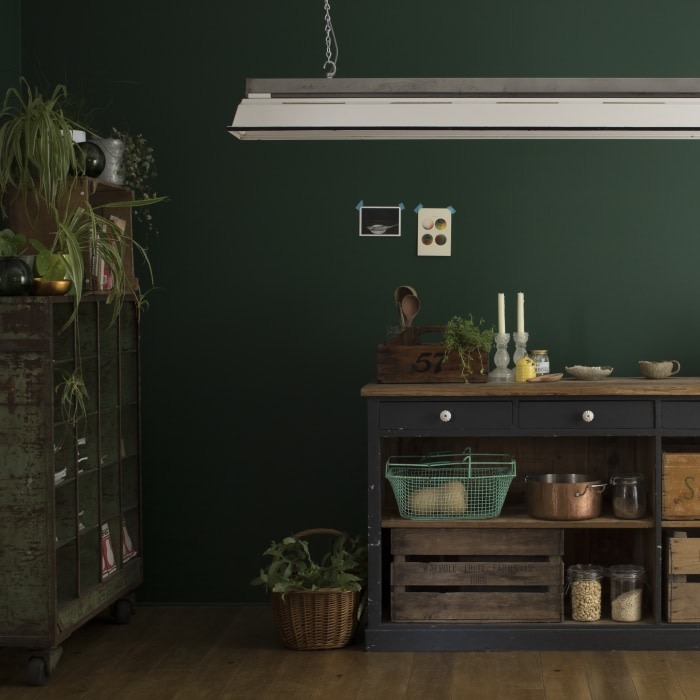 A vitreous enamelled, lipped and vented shade with a lacquered steel gallery. The venting allows uplighting which creates a distinctive feature in any interior. 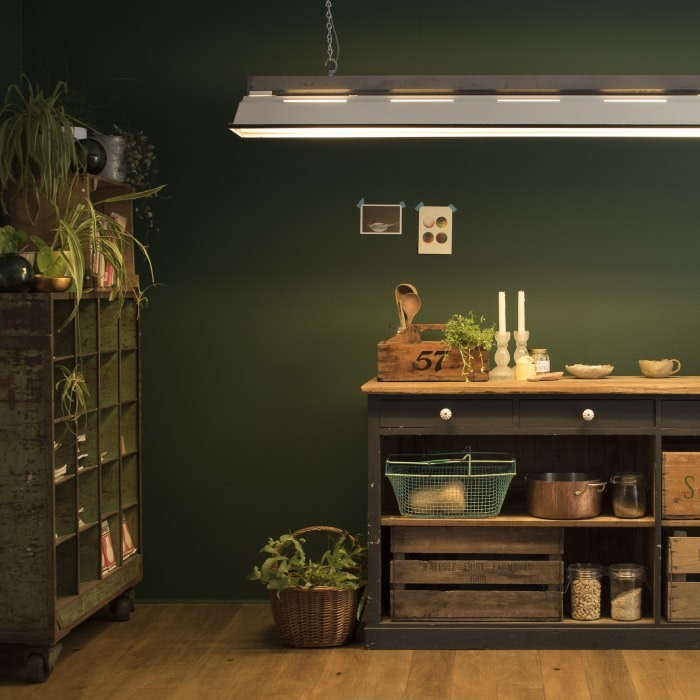 Alternatively, the product can be fitted with the latest in linear LED technology. The LED bulb has an average life of 50,000 hours, is located within the same etched diffusion sleeve to prevent any glare and creates even distribution of warm light (2700K or 3000k). The LED option is supplied with either a switched or dimmable remote module (Leading/Trailing edge, Dali/DMX or 1-10v). Please contact the studio for more information. Supplied rewired and tested with a new T5 35W energy saving fluorescent lamp and 2mtrs of elephant grey braided cable, 2mtrs chain suspension and ceiling mounting plates.